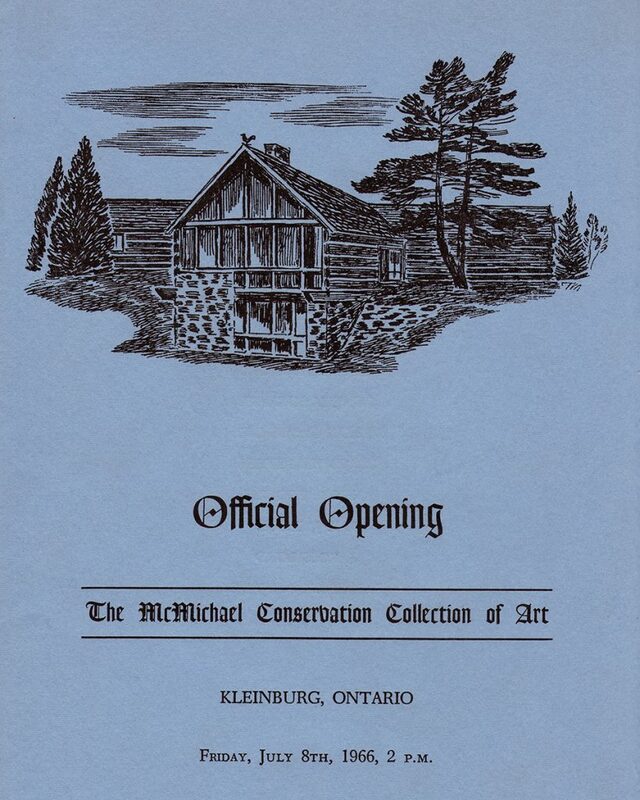 The official opening ceremony of the McMichael Conservation Collection of Art (as it was originally called) celebrated the unprecedented gift by Signe and Robert McMichael. 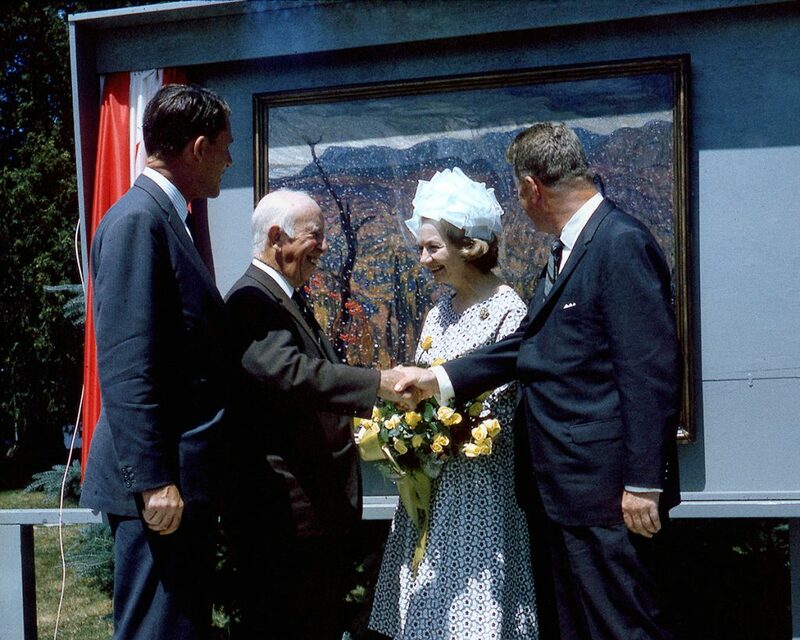 The milestone also served to honour the artists and collectors who had supported the McMichaels in realizing their dream of creating a public gallery dedicated to the Group of Seven. 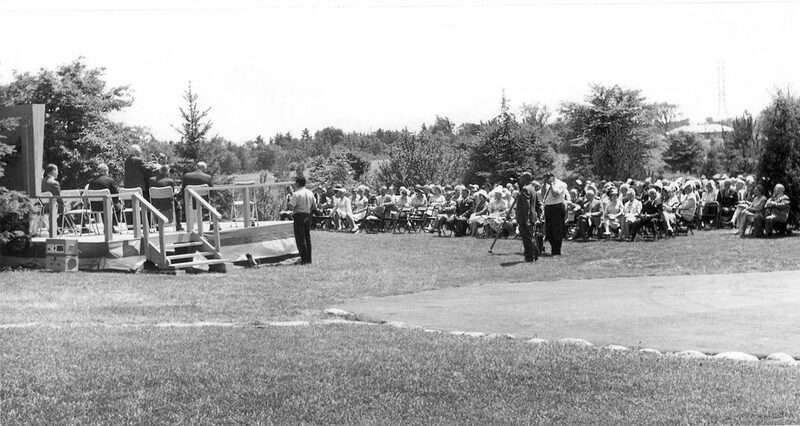 On a sunny summer afternoon, July 8, 1966, more than 200 invited guests gathered in an outdoor ceremony, at which A.Y. 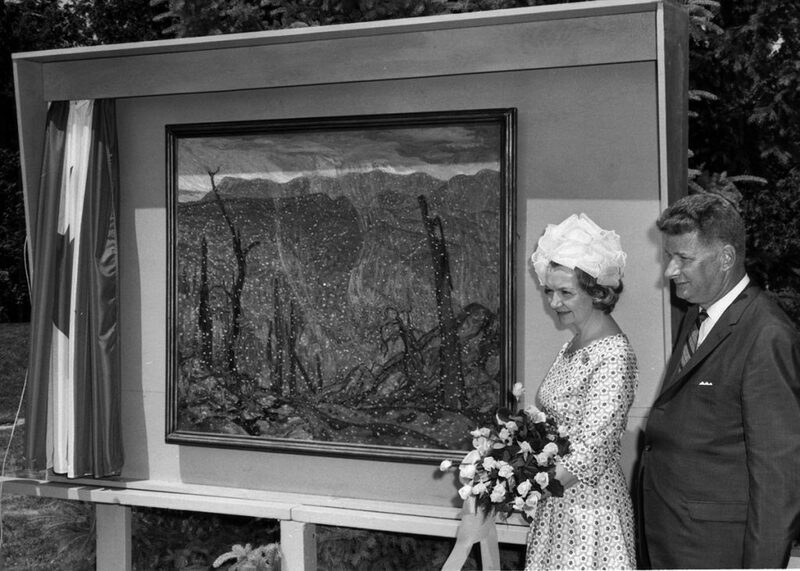 Jackson unveiled his beloved painting, First Snow, Algoma, which was donated by Mr. Percy Hilborn to commemorate the occasion. The Honourable James Auld, Minister of Tourism and Culture, presented the opening remarks on behalf of, John P. Robarts, the Premier of Ontario. The opening was a gathering of friends and supporters, including artists (such as A.Y. Jackson, A.J. Casson, F.H. Varley, Yvonne Housser, Thoreau MacDonald, Florence Wyle, Frances Loring and Carl Schaefer) and donors (Robert Laidlaw, Norah de Pencier, Margaret Tweedale and Percy Hilborn, to name a few), as well as many other special guests. 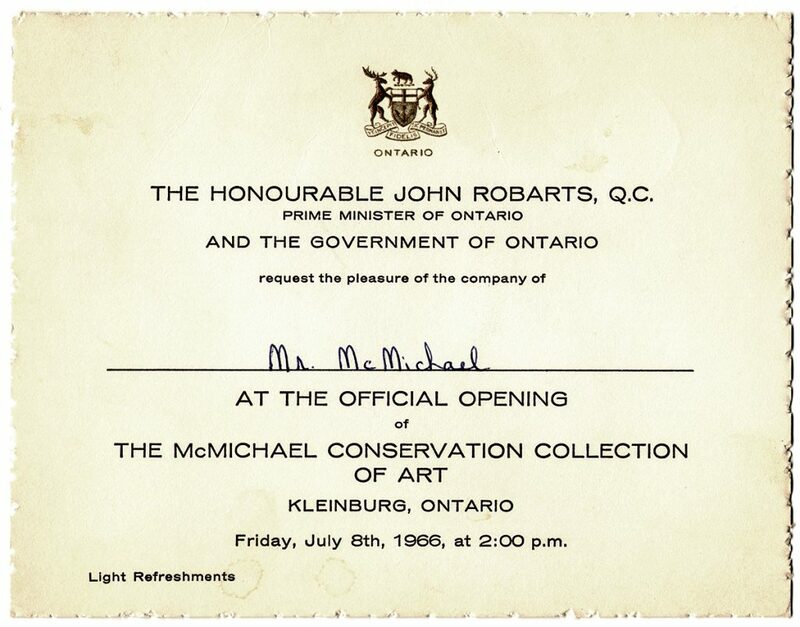 When the McMichael Conservation Collection of Art officially opened in 1966, the story of Robert and Signe McMichael’s donation of art, their home and land had already made headlines in 1965 when the Gift Agreement was signed. News of the formal public opening was covered by national and local media, as well as the international press. While the McMichaels were already welcoming school groups by appointment and visitors to their home to see the paintings, it was now officially “public.” Signe and Robert would continue to live at the gallery as unpaid curators-in-residence, and their home and collection would be freely open to the public every Sunday afternoon. 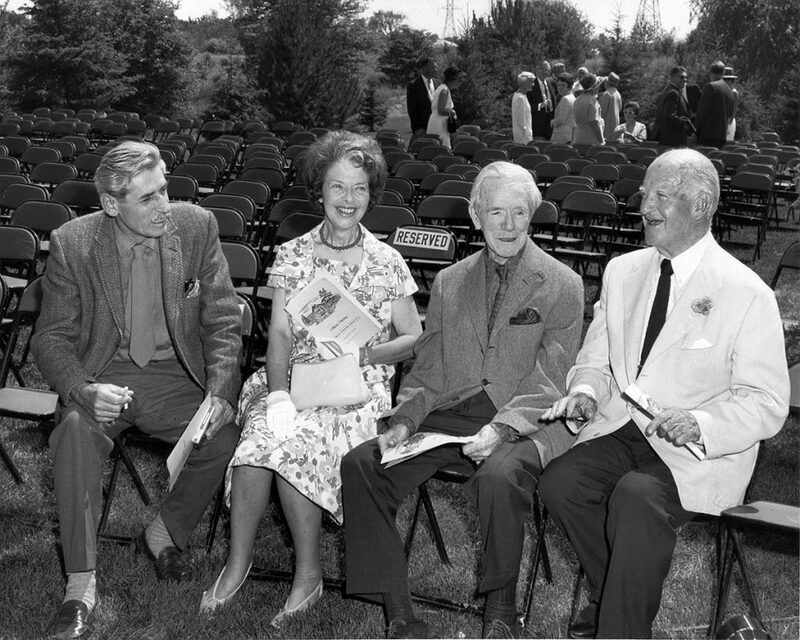 The founders often welcomed several hundred visitors on Sundays, and were always available to meet the public, give tours and answer questions.